Rebel Legion :: View topic - Greetings! Posted: Sat Aug 04, 2018 5:17 pm Post subject: Greetings! 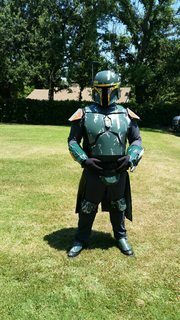 Just got my Republic Commando (Niner, RC-1309) approved this week, and I'm really excited to get to troop with you all! I'm Jason, live in South San Jose. 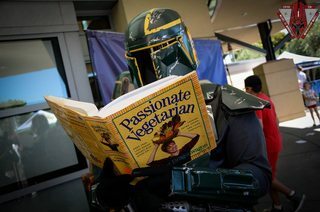 As you can guess, from the Mandalorian and Commando suits, I'm a major EU fan, Karen Traviss and her books are second only to Timothy Zahn for me. I even named my daughter Mara. I've met a lot of you in the past few years trooping with the MMCC, my wife and I have slowed down of late, but did a lot of events in the past 2 years. 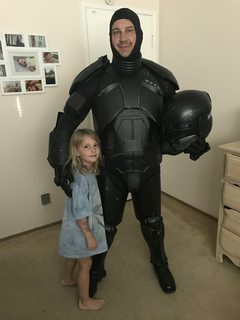 For those, like me, who know most people by their armor, I'm this guy (depending on what mood I'm in for the helmet that day). My wife Cera is also hoping to join at some point, she's bought lekku, and is working on a Jedi robe, also entertaining the idea of being a Twi'lek pilot. I'm hoping to start doing events soon, school is starting up (I'm a high school teacher) and I'm still putting the final touches on my kit for 501st approval, so I'm not sure when that will be, but I can't wait to represent this great group.